Forton mg, Urethane foam, steel, pigment. The Cass Sculpture Foundation presents a survey of sculpture and interdisciplinary works by the Brazilian-American sculptor Juliana Cerqueira-Leite (b. 1981). What does the body look like when it is defined by how it is experienced from the inside? 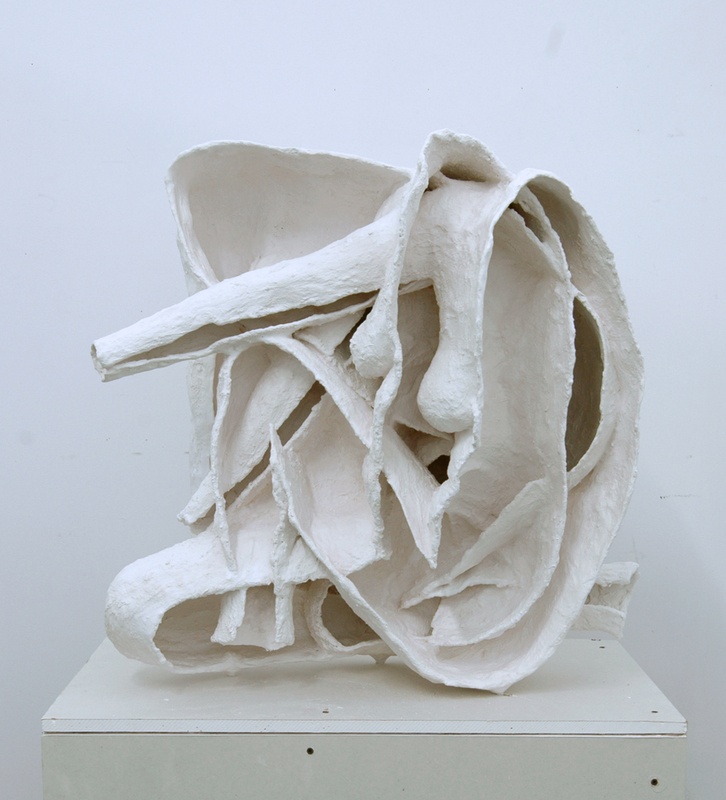 Leite’s work is best known for the physical and laborious nature that defines her sculpture's making processes. Using large wooden structures and several tons of clay she builds up her forms from the inside out, working and re-working the surfaces of her materials to produce uniquely intimate and corporeal reconstructions. Relating to her body through their scale and form Leite’s sculptures epitomize the relationship that has evolved between artist and material over centuries of artistic activity. Nowhere is this more evident than in works such as 'Into (Fat)' and 'the climb is also the fall', both from 2011. These hanging sculptures present the viewer with an interesting challenge, traversing the simultaneous absence of the artist against the obvious physical presence of the work itself and her body’s impressions on it. ‘Into (Fat)’ was cast from a container filled with one and half tons of animal fat. The work is comprised of six different hanging forms made by the artist physically sinking into the mass of fat in different positions. Also hanging ‘the climb is also the fall’ is a spiraling rubber form that curls onto the gallery floor. The milky white surface of the rubber is scored by marks the artist made while tumbling backwards down a spiral form – as if falling down a spiral staircase. Cast from this shape the sculpture remembers its spiral origins, hanging like a giant orange peel. Monumental or delicately proportioned her works are visually striking and tactile in their investigations of how time and movement are captured by matter and generate form. Leite’s videos and photography are an extension of her sculptural practice. Taking as their starting point the chrono-photography of Eadweard Muybridge and Étienne Jules-Marey, figures repeat and overlay in these works, visually compressing – as with her sculptures – the past into the present. 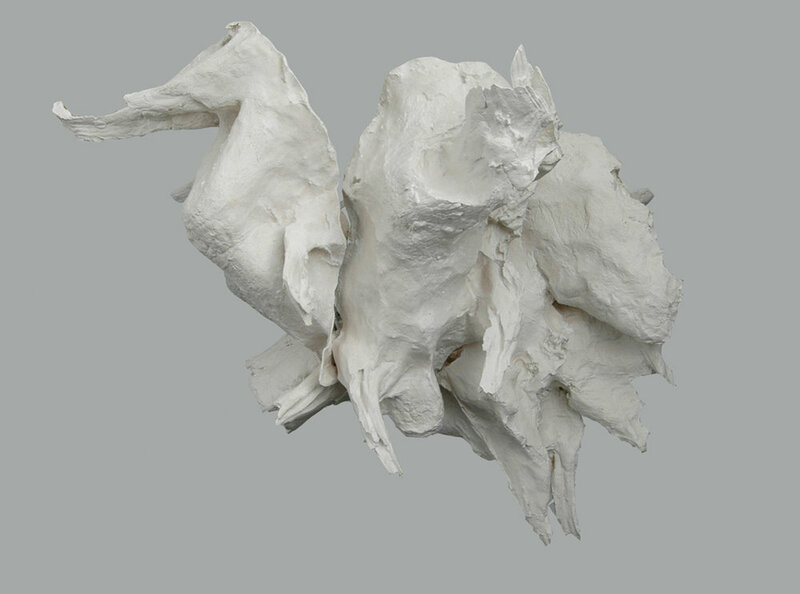 This exhibition will also feature the previously unseen series of Curl sculptures composed of several ‘fused’ partial casts of the artist’s body, alongside drawings, maquettes and a video installation. The exhibition will coincide with the loan of the large outdoor sculpture, Climb (2012) which was previously on show at Art Basel Miami Beach, USA. It will remain on display at the Foundation until November 2014. 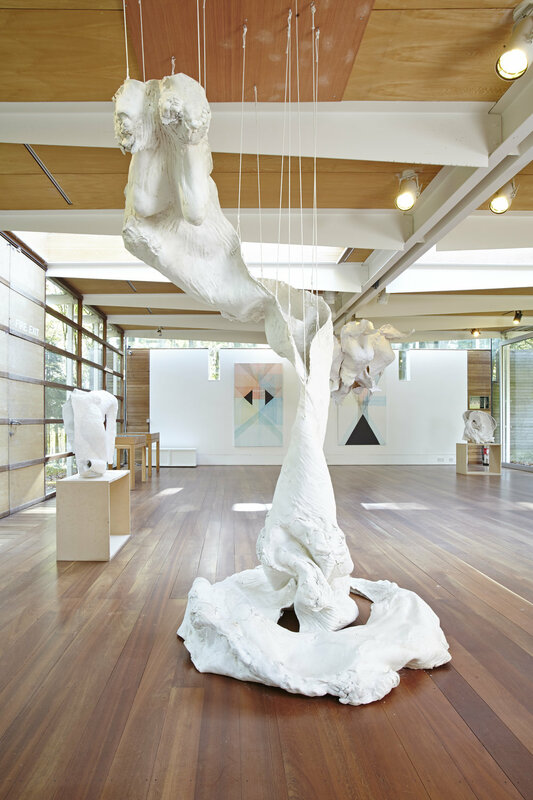 Juliana Cerqueira Leite, 2014, Installation view, Cass Sculpture Foundation, Sussex, U.K.
Sherwin, Skye, "This week's new exhibitions", (Guardian), April 11, 2014, London, U.K.